Just a simple small vanity with a bow front. 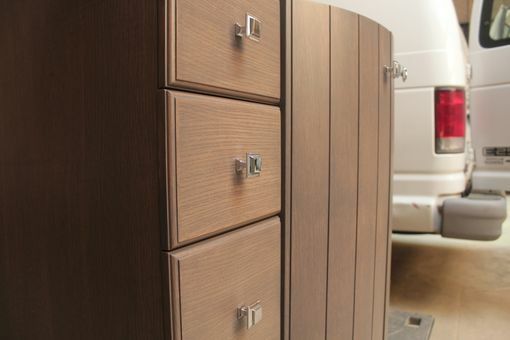 The materials are rift cut white oak with a custom made stain to accent a Benjamin Moore paint color. 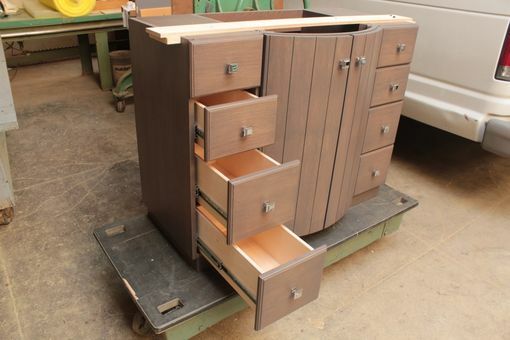 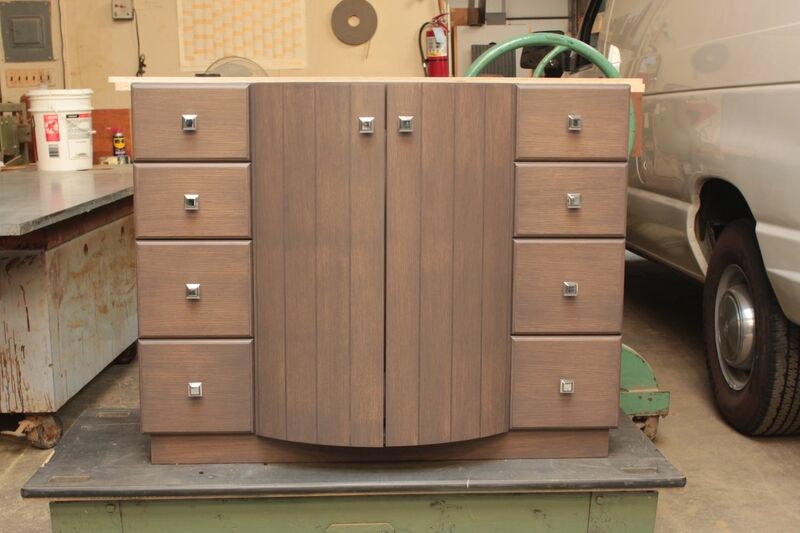 The unit features 6 drawers on full extension ball bearing slides.